Tacky stage design of the Ring disappointed audiences and would have benefited from a single artist's vision, writes critic and historian Ian Britain. In most theatres the audience changes every night while the show remains the same for the season. When a full Ring cycle’s on, the reverse is the case. Among the punters at the Melbourne Ring, there were only a few new faces on each of the four successive evenings. It was pretty much the same bums on the same seats night after night. The audience’s responses from night to night remained fairly uniform, too, at least on the surface: generous, sustained applause at the end of each act and then again at the final curtain calls -- with slight variations according to the particular singer taking a bow, but no boos or catcalls that I could discern. At the same time, there was no rapturous foot-stomping, little whooping, and (until the last night at least) only the odd cry of bravo here and there. Compared to the eruptions of excitement -- or disapproval -- that can overtake European opera houses, it was all a bit subdued. 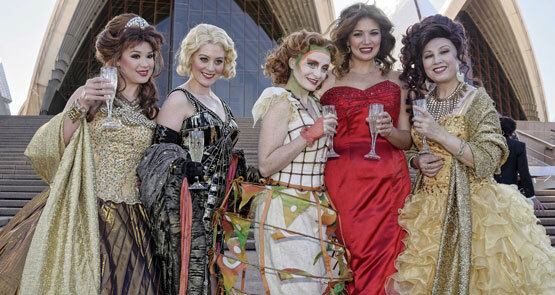 The government wants to bail out Australia's large opera companies. But small-to-medium companies suffering under funding cuts are not happy. The latest report on our opera companies shows a tragedy of Wagnerian proportions. Crikey readers talk health messages at the opera and MH17. Carmen met her match in the political bullring. But in an opera-worthy plot, she’s back from the dead ..
West Australian Opera has ditched its upcoming season of Bizet's Carmen after a major sponsor raised objections to the depiction of cigarette smoking in the 1875 four-act opera.